When Ed was a remodeler he developed checklists to address all aspects of the remodeling process to help Palm Springs Desert Area homeowners arrive at a Remodel Wish List and develop a practical end product to enhance their desert living experience in a style to suit them and within their budget. They created separate lists for the whole house, the kitchen, and the bathroom. We have assembled these proprietary checklists in Adobe .pdf format so that you may print them to assist you in your Kitchen or Bathroom remodel. Simply send us your email and we will send you these custom checklists developed by Cabinets of the Desert. 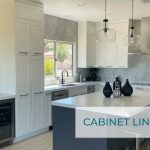 We at Cabinets of the Desert are experts in cabinetry and have the experience to create your dream. Send us your name and email and we will send you our custom Remodeling Checklists to assist you in your remodeling project.